With proper care, a well-built hardwood floor can last a lifetime, even generations. But over time, the wood inevitably starts showing signs of wear and age. Scratches accumulate, uneven coloring may occur (especially in areas where the floors are exposed to sunlight), and floors begin to appear dull. You can refresh your floors by refinishing them—effectively by having them sanded, re-stained and sealed. 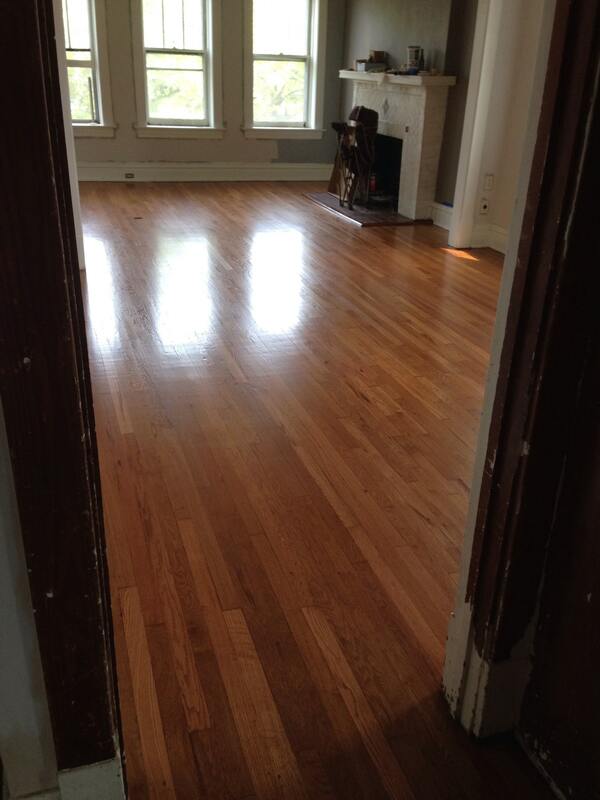 But at what point should you consider having your hardwood floors refinished? There is no set answer to this question. It depends on a number of factors, including the type of wood, foot traffic patterns, natural wear and your own personal aesthetic. Even with the best of care, most floors start showing their age after about 10 years. But for most households, simple wear-and-tear may cause the floors to need refinishing sooner than that. Here are a few signs and tips to help you decide when your hardwood floors need refinishing. These days, the “weathered” or “distressed” look is popular with wood floors, but that look is best achieved purposely by wire brushing evenly across the floor. For most of us, scratches don’t make the floor look “worn”—just scratched. Also, scratches can affect the integrity of whatever sealant may have been used, making the floors more vulnerable to the elements. A bit of scratching is natural, but deep or excessive scratches might need to be sanded out and refinished. If your wood floors start to appear sun-bleached, it may not be a serious problem, but it can give your floors an uneven, unattractive look, and you may choose to refinish them just to recover an even coloring. If floorboards start getting a dull, gray hue, it’s a potential sign of damage from moisture over time, and you’ll want to refinish them to protect the wood from further damage. Let it go too long, and the floors will need to be replaced. A wood floor’s finish is as much a part of the aesthetic as its color, whether that finish is glossy, satin, matte or brushed. Over time, especially in high-traffic areas, you may start to notice the finish taking on a dull appearance compared to other parts of the floor. This inconsistency can make your floors look worn, uneven and even neglected. In most cases, refinishing will restore the floor to its consistent beautiful sheen. Although refinishing your floors can make them look fresh and new, every time you do it, you’re removing a layer of wood. Solid hardwood floors can endure this process several times. Engineered wood floors can only handle it once or twice at most. But floors that get refinished too often can eventually get to the point where they lose beauty and just don’t look as nice anymore. For that reason, we recommend refinishing your floors only when it’s apparent that they need it, and not just for the sake of change. If you’re unsure whether your hardwood floors need to be refinished, we are happy to come inspect your floors, whether or not we installed them. For answers to your wood flooring questions in Jenks, Tulsa, Sand Springs, Broken Arrow and Glenpool, call Renaissance today at 918-298-4477. Will Installing Wood Floors Help Me Sell My Home?